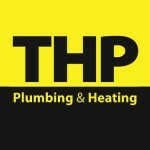 THP Plumbing and Heating has been offering plumbing and heating services to customers in Norwich and Norfolk for three generations. Our skilled team of plumbing and heating engineers offer a wide range of services, these include repairs, regular maintenance, full heating system installations/adaptions, water and waste systems and gas safety inspections. All our services are competitively priced with no detriment to the quality and longevity of any works carried out. Our prices start from £35 for the first hour as we believe that employing a skilled tradesperson shouldn’t cost the earth. Our accreditations include Worcester Bosch Gold Standard approved installer, this allows us to offer an eight year guarantee when fitting their combination boilers. Combining that with our Gas Safe (formerly Corgi) membership, we know our customers can shop with peace of mind knowing that their heating, cooker, hob and fire installation works are carried out to the highest industry standards. We are currently offering brand new Worcester Bosch combination boilers from £1,600+ VAT. Please see our website for our full pricelist or call us on 01603 423479 or 07850790698 to discuss your requirements and to book a no obligation quotation.